ROSE HILL (WECT) - A historic church in Duplin County was destroyed by a massive fire on New Year's Day. Matt Barwick, Duplin County director of emergency management, told WITN that crews received a call around 8 a.m. that Rose Hill United Methodist Church was on fire. The church, which was built in 1920, was fully engulfed as crews arrived at the scene. Barwick said the roof collapsed as firefighters were making entry into the church, forcing them to move to defensive operations due to safety concerns. 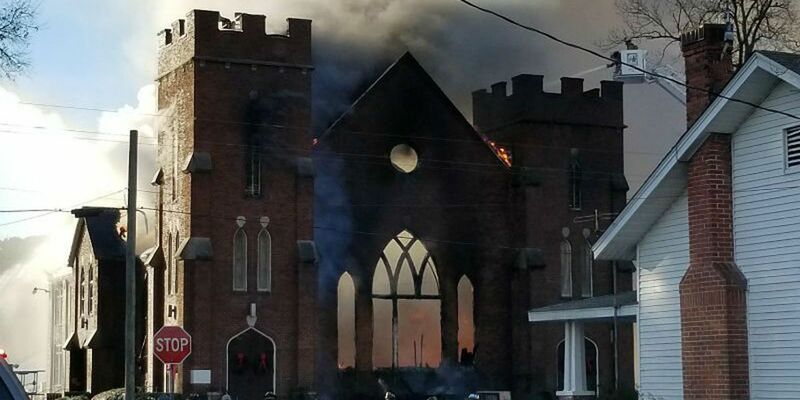 WITN reports that the fire is under control, but the sanctuary is a total loss. The fellowship hall suffered some water and smoke damage but is still intact. The SBI is investigating what caused the fire. Copyright 2018 WECT. All rights reserved. WITN contributed to this report.